Students will get a feel for what it’s like to take a college course while also learning what it takes to be a successful professional game or hardware developer. 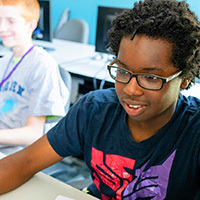 During the program, students will get to immerse themselves in the roles of programmers, designers, artists, music and sound designers, and computer engineers. Students will receive grades for their Pre-College classes, including a final transcript (which can be included in their application to DigiPen). Any student who successfully completes the Pre-College Program and matriculates to DigiPen within three years will receive a credit of $2,699 (an amount equal to the Pre-College Program tuition) to apply toward their first-semester tuition as a freshman. Students must be entering their Junior or Senior year of high school or have graduated high school within the last 18 months. 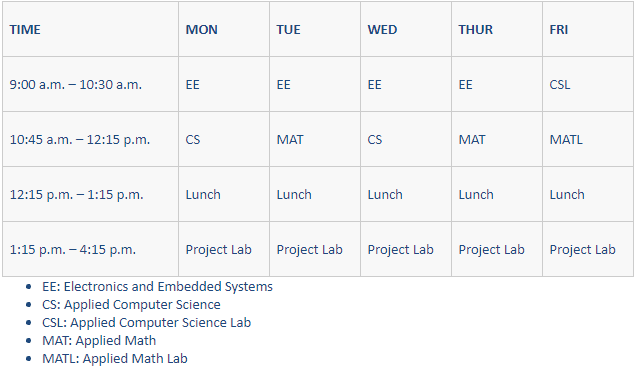 DigiPen student housing is limited, and ProjectFUN is unable to provide housing to Pre-College students at this time. For a list of recommended hotels and other housing options, visit our housing policies. To be a game designer, you must have more than just a good game idea. Game Design students learn about the fundamental principles of game design, the computer science that goes into designing a video game, and the storytelling and character creation skills necessary to bring video games to life. You must understand all technical and creative aspects of the game development process so they can create the type of engaging experiences today’s players expect. 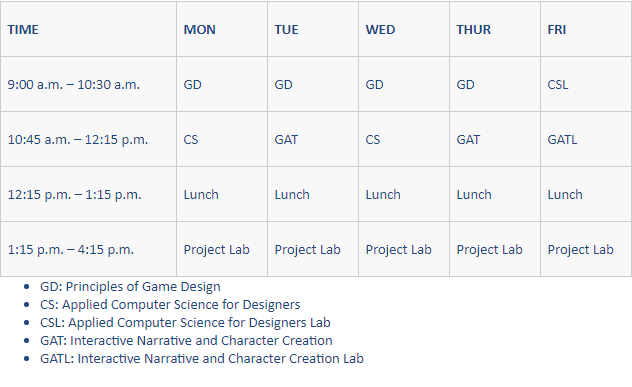 To bring it all together, you learn your role as game designer in your Project Lab’s game team. Statement of Purpose, discussing your reasons for applying to the Pre-College Program, and how these reasons relate to your personal, educational, and/or professional goals. Please review formatting guidelines stated on the application. A one- to two-paragraph writing sample that describes their favorite non-digital game. Students must explain why it is their favorite, and describe one rule that they would change and why. 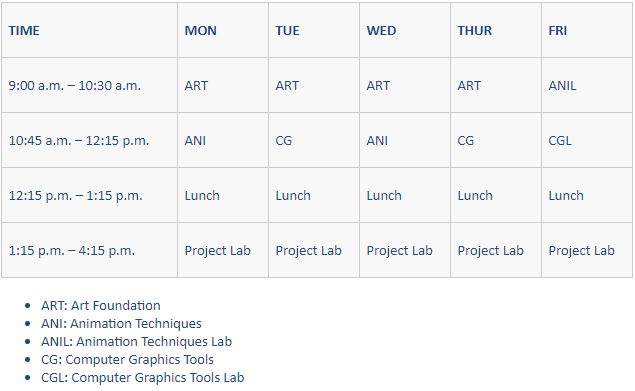 By learning the foundational skills of art, animation, and computer graphics, students in this track practice the skills necessary to produce sophisticated digital art. Even with all the amazing advancements in digital art tools, the key to success for production artists is still a strong visual development process and the foundational art skills to execute that process. This track prepares students for the rich and rewarding experience of being a production artist for video games, animation, and more. 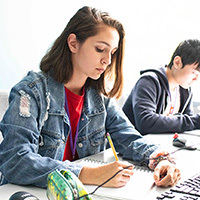 Within your Project Lab, students in the art track serve as the game team’s resident artist, developing characters, backgrounds, and other essential components for their game. Five drawings, made from observation. Medium of your choice. Today’s video games are highly complex pieces of software that require a deep understanding of computer science, advanced mathematics, and physics. Students in the Game Programming track learn how each of these components relates and is essential to the execution of a well-crafted video game. As your game team’s programmer, you will write the code that breathes life into the art and story of the game. NOTE: this is a little flowery- I ran out of things to say and couldn’t think more, but it’s a little short. Let me know if you think of more!! Audio professionals play an important role on any game production team. Whether composing the musical score that sets a game’s mood or recording the sound effects that give players moment-to-moment gameplay feedback, it’s a job that requires both musical knowledge and technical expertise. 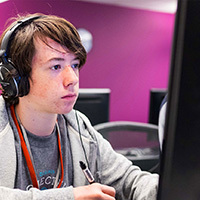 By focusing on the theory, history, and techniques of music and sound design, students in this program gain an understanding of what elements make a video game’s soundtrack and sound effects a compelling experience. Official high school transcript, mailed or emailed from a school official. Completion of a self-assessment that demonstrates the ability to read and play music. To request the assessment, email projectfun@digipen.edu. At the heart of the technological revolution, computer engineers continue to dramatically change and improve how the world functions. From the development of the latest smartphones to life-saving medical devices, computer engineers rely on a wide spectrum of computer science and engineering knowledge. 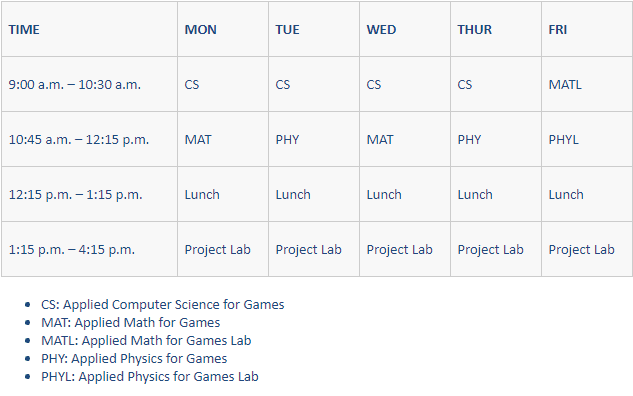 Students in this program study the mechanics of how computers work, and learn how to use these powerful pieces of technology to their fullest potential. 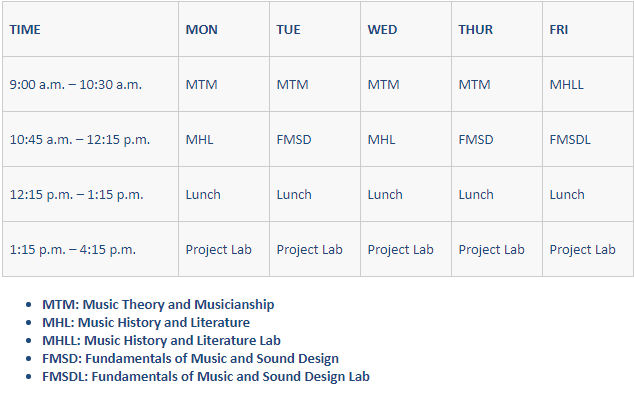 This track will complete a separate Project Lab, and students will build their own, self-designed project from start to finish. Application fee waived for students that complete their application prior to April 1st.